“Ambling on without a care in the world”, is how one British hunter-naturalist described that most formidable of Indian mega-herbivores, the rhinoceros. Indeed, there was a time when the Indian rhinoceros dominated the wet, swampy grasslands situated in the north of the Indian subcontinent. Seals of the ancient Indus Valley Civilisation of the 3rd century B.C. indicate that the rhino once dwelled as far westwards as today’s Pak-Afghan border. In the far northeast, as many as 3 rhino species could be found—these included the Javan and Sumatran rhinoceroses, in addition to the Indian (Greater one-horned) species. That was then. Centuries of hunting by British and Indian royalty brought an early exit to the Javan and Sumatran species that became extinct in India by the early 20th century. The Indian rhino was also not spared. Its population shrunk and so did its range because of hunting and pressures from agriculture. By the 1880s, the Indian subspecies had ceased to exist west of Nepal, and by 1900, only a few dozen survived in Assam’s Kaziranga floodplain. And yet, over the years, with stronger wildlife protection acts put into place and with the declaration of national parks and protected areas, the rhino population of India did make a comeback. Today, Assam, West Bengal and Uttar Pradesh are the only states which have rhino populations, Assam being the forerunner in Rhino conservation. Kaziranga National Parks’s rhino population has gone up significantly from possibly <200 in the early 1900s to 1129 in 1991 and 2401 in 2015. Orang national park has a population of over a 100 rhinos, up from 68 in 2009, and Pobitora, another sanctuary for the animal, has 93 rhinos (as of 2012). In 2011, rhinos were reintroduced to Manas National Park in western Assam. A former rhino stronghold Manas had lost its population due to accelerated poaching in the 90s, in the midst of political unrest and insurgency. As of 2015, Manas has 32 rhinos, with many of the introduced animals having produced young. In 1984, 9 rhinos from Assam and Nepal were put in a fenced-off area in Uttar Pradesh’s Dudhwa National Park. The population there has grown to over 30 individuals now. A recovery has also occurred in West Bengal. By the 1990s, indiscriminate poaching had brought down the rhino population to a mere 6 in Gorumara and 12 in Jaldapara, but a strong recovery has allowed Northern West Bengal to become the home of 250 plus rhinos, of which almost 200 reside in Jaldapara alone. 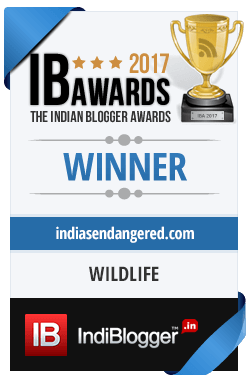 As a result, the Indian rhino is no longer considered to be an “Endangered” Species by IUCN’s Red List, and is currently placed in the “Vulnerable” category. Conservation, however, is a never-ending battle. Today’s victory may be tomorrow’s defeat. And this is the case of rhino conservation in India as well. The era of hunting for trophies may be gone but it has reborn today with an uglier face – poaching. Rhino horn is mistakenly perceived to be an aphrodisiac by the practitioners of Traditional Chinese Medicine. Most of the global demand for rhino horn emanates from Vietnam and China. In 2006, only 7 incidents of rhino poaching were recorded across the country but, in 2014, this figure rose to 34. The brunt has been born by Kaziranga, with 27 deaths being reported there. An even more worrying scenario is unfolding in Manas, which lost 4 of its 30-odd rhinos in 2013 alone. Poaching has also raised its ugly head in Northern West Bengal. What is worrying, is that the old enemy seems to have found a new garb. No longer are Naga hunters (fierce warriors and last century headhunters) attempting to intrude into well-protected areas; the recent upswing in poaching has been spearheaded by local militant groups, many of whom are using the Mikir tribals dwelling on the park’s fringes as foot soldiers. The field staff of Kaziranga are some of the best in Asia, but even they are finding it hard to provide a fitting response to poachers armed with sophisticated AK series and M16 rifles. 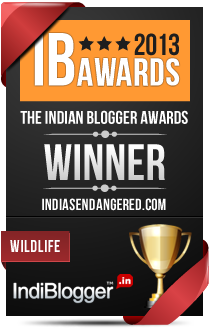 Can the Indian rhino manage to survive this latest assault? The answer to this depends on how quickly the Forest Department can modernize in response to evolving threats. Shifting to a more intelligence-based enforcement approach is the need of the hour. The Assam Forest Department, inspite of its army of well-trained field staff, has succeeded in convicting only 2 rhino poachers over the past 2 decades. Such an abysmal record naturally motivates poachers. Furthermore, the country’s lack of a central conservation plan pertaining to rhinos is also a significant hindrance to rhino conservation efforts. Assam’s “India Rhino Vision 2020” plan is a far-sighted action plan; however, no such plans exist for other rhino-bearing states. Is rhino conservation a lost cause? Far from it. India’s rhinos can still count on a core group of highly dedicated staffers who are prepared to lay down their lives for the pachyderm’s protection. As many as 23 rhino poachers were killed in encounters with guards in Kaziranga alone. Also, India certainly has the means to carry out expensive and difficult translocations to resurrect rhino populations, as Dudhwa and Manas have proven. Translating plans into concrete action through political will, is key to ensuring a secure future for the Indian rhino.